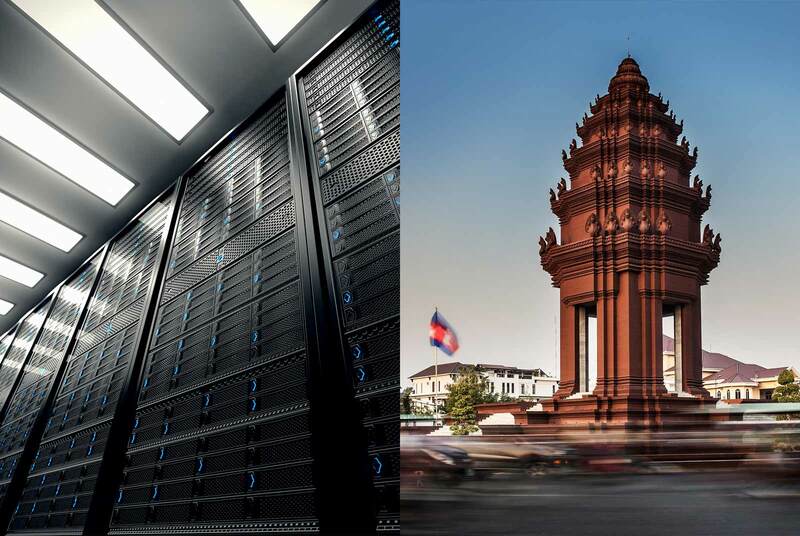 Our main web hosting servers are located in a T2+ data centre in central Phnom Penh, Cambodia. So how can you benefit from choosing Cambodia for your web hosting services? Your best bet for fast speeds and a low bounce rate is to host your website where your visitors are located as this will give them the fastest possible connection to your site. Connection speed and ping times are closely related to geographic distance since it still takes time for data to travel, even when it’s moving at the speed of light through fibre optic cables. That means if your audience is in Cambodia, it makes sense to buy web hosting services that are also in Cambodia. While our support is available around the clock, we are based in Cambodia so we will be available during your office hours. We also schedule our maintenance out of hours and on Cambodian public holidays to ensure that your business is not interrupted. You can pay us by local bank transfer or Wing, which makes it easier if you don’t have access to a credit card. Of course we also support credit and debit card payments through Stripe and PayPal. Assuming your website is targeting local visitors within Cambodia, then hosting your website in Cambodia means that your website will load faster. Our network provider is peered with all the major ISPs in Cambodia. This means you get domestic connectivity which is far faster than anything that goes over the international network. Our connectivity is also super fast all around the Southeast Asia region, with customers in Thailand, Laos, Vietnam, Malaysia, and Myanmar all enjoying low latency to our servers. Ask us anything about Cambodia payment gateways, .com.kh domain registration, setting up Khmer language in WordPress, or any other online business questions. We’re based here in Cambodia and we’ve done it all before so we’ll have the right answers for you. These aren’t the only reasons to choose our web hosting services, but they should help to answer questions about why you would choose web hosting in Cambodia. We offer international standard web hosting services for businesses in both Cambodia and the wider Southeast Asia region. Our web hosting servers are reliable, secure, expertly maintained, and monitored 24/7. These days you can get website hosting in almost any country in the world. Most web hosts are concentrated in established regions such as North America and Europe. Hosting in these locations is likely cheaper, but the cost of losing sales due to longer load times is far greater risk to your business. Keep your website hosting local to enjoy faster speeds, higher visitor engagement, and potentially this will lead you to higher sales because of it. Ready to sign up for our Cambodia web hosting services? Click here to see our web hosting packages. Have an existing website? Our expert team will help migrate your website to our servers at no extra cost. Just email us at sales@nullhostasean.com.